The main problem is the film’s underlying motivation. Halloween was a labor of love, made by people committed to creating the most suspenseful and compelling motion picture they could. Halloween II was impelled by the desire to make money. It was a postscript—and not a very good one—slapped together because a box office success was guaranteed. Carpenter and Hill were hired to make Halloween, it wasn’t a passion project or a “labor of love,” it was a job that they accepted and they made the best film they could, given the resources. Of course they wanted it to be good, suspenseful and compelling, but the the truth is every director wants to make a good film. Nobody sets out to make a bad film. But ultimately Halloween was made because Irwin Yablans thought a horror movie about babysitters would make money and he had the foresight to hire a young filmmaker named John Carpenter to make it. But Halloween was only made with the intention of making money…not art. It just happened to be very good and groundbreaking. But you are definitely correct that Halloween 2 was also made with the intention of making money…trying to capitalize on the success of the first film and films like Friday the 13th. But isn’t every sequel? At the same time though, I really don’t think Carpenter, Hill and Rosenthal weren’t trying to make a good movie. I think they really wanted to make the best film they could. Carpenter cared so much about it being good that he consented to writing and producing it and then when he wasn’t pleased with Rick Rosenthal’s edit of the film, he reworked the film himself in an effort to make it better. One doesn’t put that kind of effort into a project if they don’t care about quality. I personally love Halloween 2, but I do understand why some people don’t care for it. Its script is not quite as strong as the first film’s and the upped gore factor, done with the intention of trying to compete with the other “slasher” films being released around that time, can be perceived as being cheap and tasteless…but in my opinion it has a lot of strengths too. 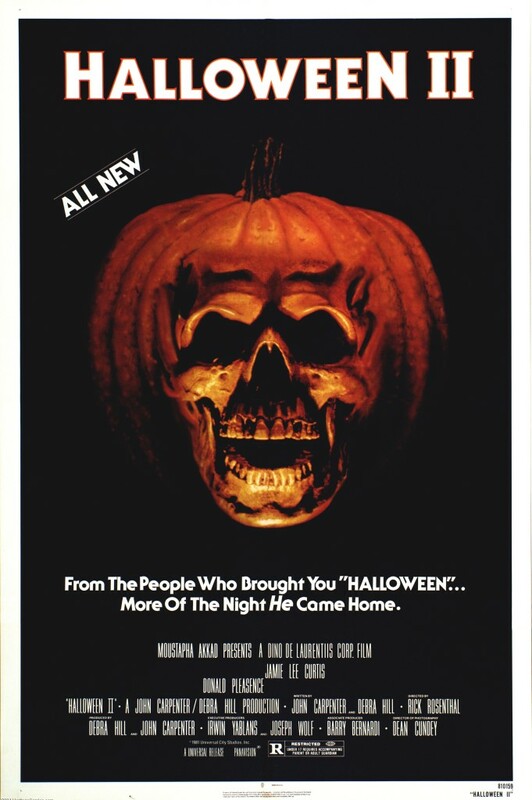 I would never tell somebody they are wrong if they think Halloween 2 is inferior to the first Halloween, but I just kinda think that both films were made for the money…and there’s nothing wrong with that. Thanks again for sharing your opinion!